Health IT professionals offer their opinions about what the project might be able to accomplish for patient engagement and consumer-mediated exchange – and how ready smaller providers might be to someday try it themselves. Apple Health Records are now in use at more than three-dozen leading U.S. health systems, including NYU Langone Medical Center, Partners Health Care, Penn Medicine, Geisinger, Johns Hopkins and Duke University Medical Center. 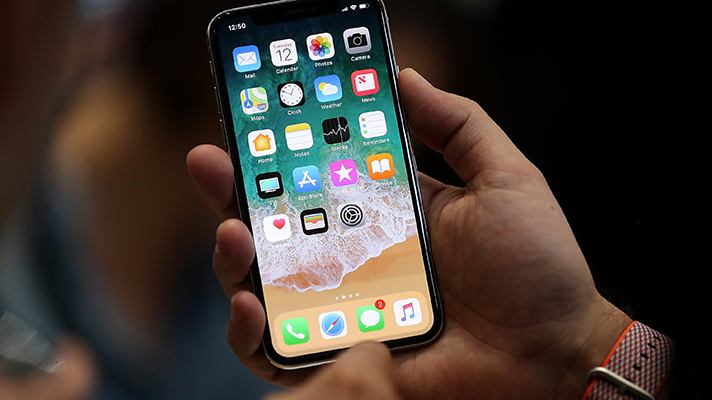 It's early yet, but so far technology leaders at those brand-name hospitals are excited about what iPhone-ready access to electronic health records will accomplish for their patients. "I think it's an important milestone," said Richard Milani, MD, chief clinical transformation officer at Ochsner Health System. "Years from now, we'll look back and see it as a milestone." "Apple is uniquely positioned" to make big headway on patient engagement and experience where others have found only partial success, said Shez Partovi, MD, chief digital officer at Dignity Health. Nearly three-quarters of approximately 100 Healthcare IT News readers who took our survey are similarly optimistic. Do you think Apple will be the consumer-facing company to find patient engagement success with its Health Records product? "There is a built-in trust/market with Apple that is different than that of a traditional healthcare organization relationship," according to one poll-taker. "Providers are willing to give patients their data directly with just a few clicks," said another. "That hasn't been true before." But of those who are skeptical, their reasons varied. One pointed out that the only participants in the project so far are well-known and well-funded blue chip health systems. "So long as it’s a big-boys only solution it will never take off," said one reader. "Too many local and small clinic providers don't have the resources to even send data to a state HIE let alone a corporation like Apple. Until EHR vendors make those connections easy and cheap, I doubt success can be achieved." Others were skeptical about the basic premise of widespread patient engagement. While one survey respondent said there is a "pent-up demand for such access and self-management of health information," noting that Apple's "user interface and approach makes the whole process potentially so easy for users," another was less optimistic that it would catch on – even though he wished it would. "Just because the consumer has his or her medical record does not mean they are going to be engaged in their health," he said. "As a physician, I would say that the act of getting the consumer to carry their medical records with them on their phone is an undeniable DIRECT benefit to me the ED physician." However, "making the case that carrying this information on your phone will transform the health of the patient is misinformed at best," he added. "Sleeping with a bible under your pillow every night will not make you a priest." A more interesting question in our poll had to with how ready more garden-variety hospitals would be to deploy a similar Apple Health Records project if given the opportunity. Just over half (53.8 percent) said they'd be able to roll out something this year. The Apple initiative is currently being piloted by 39 leading health systems. Would your organization be prepared to roll out something like this in 2018? One respondent said lack of "time and resources" would a big hurdle to clear. Another said it wouldn't jibe well with the "substandard IT platform currently being upgraded" at his or her hospital. And another was waiting for more "evidence that it’s widely used and safe." "If you can manage the FHIR API, which is pretty simple, this is a no-brainer to do for your caregivers. Please just stop calling it patient engagement since it is caregiver information enrichment."